According to the United States Census – in 2050, the population aged 65 and over is projected to be 83.7 million, almost double its estimated population of 43.1 million in 2012. The latest data from the Administration for Community Living (ACL) - Administration on Aging (AOA), from 2014, shows the current aging population to be at 46.2 million or 14.5% of the U.S. Population or 1 in every 7 Americans. This significant growth will cause considerable challenges to families, business and healthcare providers. In our recent blog – Exposing Nursing Home Safety Risks – we showed that data from the National Council on Aging (NCOA) reports that approximately 1 in 10 Americans aged 60+ have experienced some form of elder abuse. Some estimates range as high as 5 million elders who are abused each year. One study estimated that only 1 in 14 cases of abuse are reported to authorities. Elder abuse or exploitation can occur in family homes, in-home care, long term care facilities, assisted living facilities, residential care facilities, nursing homes, and hospitals. Those who mistreat the elderly can include family members (spouse or children), friends, paid care-givers, in-home caregivers, nursing home staff, assisted living facility staff, long-term care facility staff, other residents, and guest or visitors in the home or at the facilities. Some common causes of nursing home abuse claims are the result of negligent hiring, inexperienced or unqualified staff and caregivers, caregiver stress, understaffing, and inadequate training. 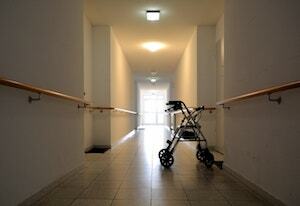 There are state and federal laws that forbid mistreatment of senior citizens. Click here to learn about Florida Statutes – Adult Protective Services. It is important to learn the warning signs of elder abuse and neglect, to learn how to prevent senior abuse, and to learn how to report problems. Some signs can include bed sores, poor hygiene, infections or diseases, dehydration, bruising, weight loss, withdrawal, depression or personality changes, or missing money. The AOA recommends you stay alert and to question what is going on. They remind loved ones that it is not your role to verify that abuse is occurring, only to alert others of your suspicions. The AOA provides a webpage What If I Suspect Abuse, Neglect, or Exploitation? to learn what you should do if you are concerned that someone you know is being abused. Nursing home abuse cases are unique and often very complex. All senior citizens deserve dignity, respect, proper care, and their rights protected. If you or a loved one was seriously injured, died or was exploited as a result of nursing home negligence, contact Fort Lauderdale senior abuse advocate Tami Wolfe online or call her at (954) 791-0477 for a free consultation.